I often wonder whether this installment is my favourite, rather than Goblet of Fire. I have never made up my mind. They are both two very different novels, but I think this one has climbed to the #1 spot this time. It's just wonderful; anguish, heartache, adventure, mystery, love, family,BETRAYAL. I could go on and on. The best thing about this novel is the insight we are given into Voldemort's past life. It is incredible to learn about him as a young boy, and how he became the most powerful Dark wizard of all. I loved learning of what made him tick, what sort of things he was attached to, how he used people, and how he used his power. And we saw all of this through the Pensieve. I have such a high opinion of this plot device; I could talk about its merits forever. I have never come across something so effective in conveying past events - it allows us to witness events first hand rather than through the jumbled words of someone else, and it allows us to witness them more than once if need be. I love it. 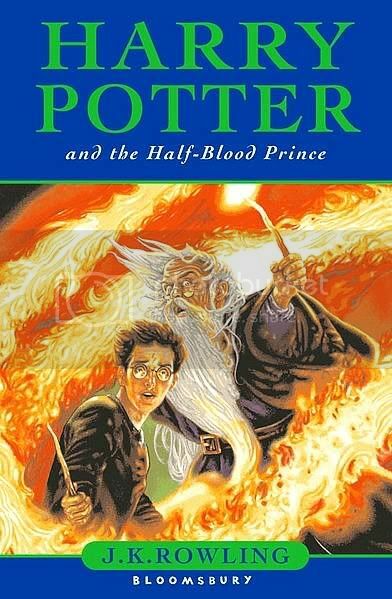 Of course the heartbreak comes in the final few chapters when we lose Professor Albus Dumbledore, the heart and soul of Hogwarts School of Witchcraft and Wizardry. It is an unbelievably emotional moment; a great loss. I believe the lament of the phoenix spoke for everyone at this point. The novel ends and opens a wonderful, tantalising path for the final novel to go down, and although it doesn't end with a cliffhanger as such, it makes you desperate to read more, to make sure everyone will be okay, but with a dreadful feeling in your stomach because you know what's coming.